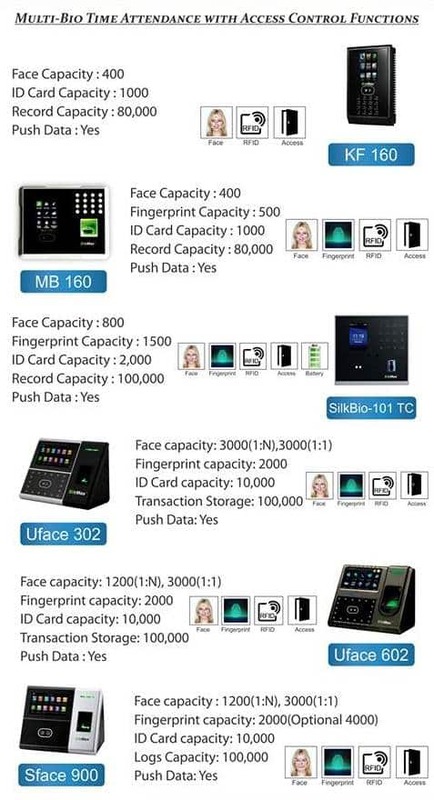 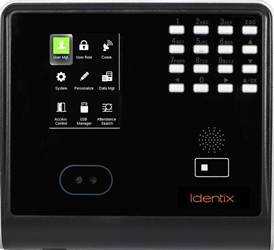 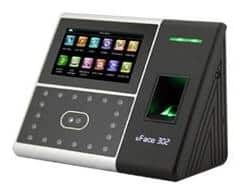 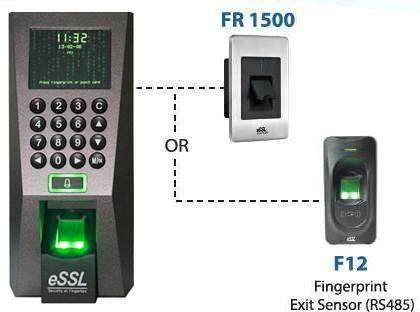 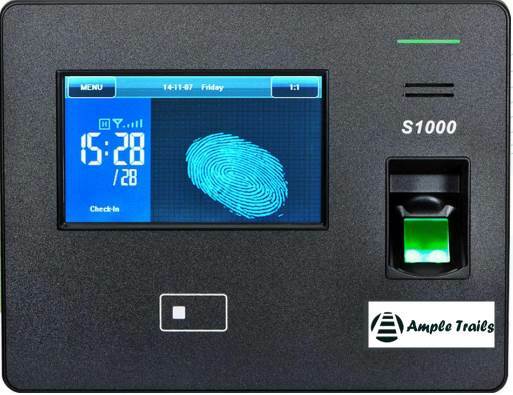 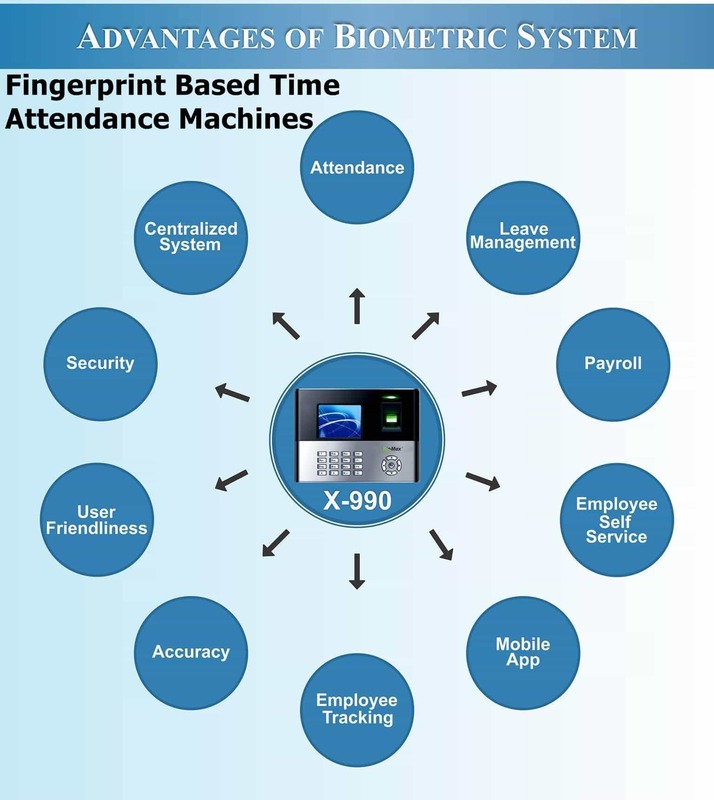 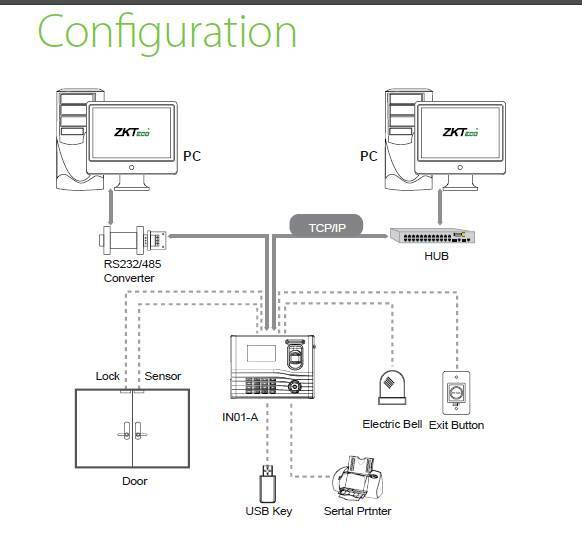 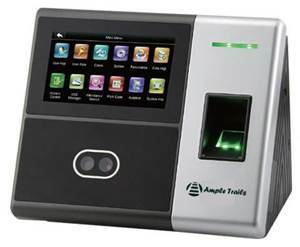 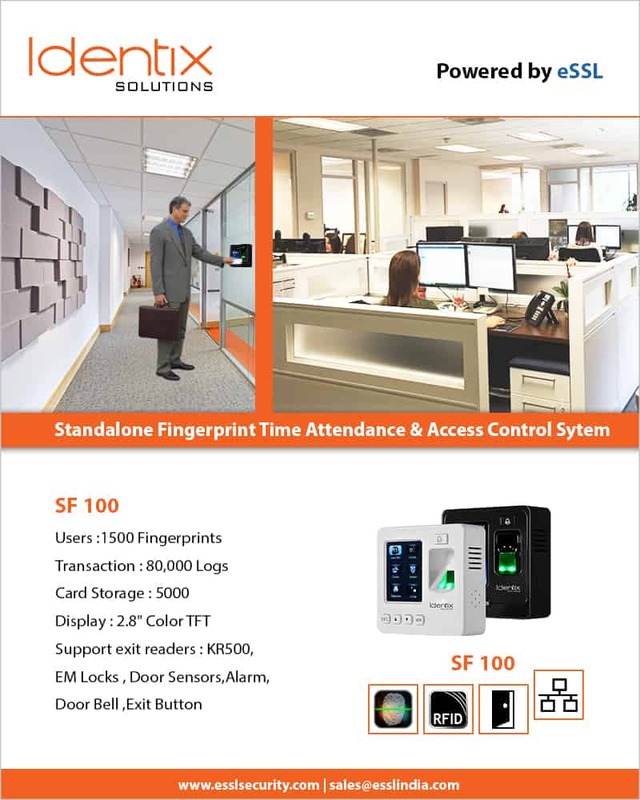 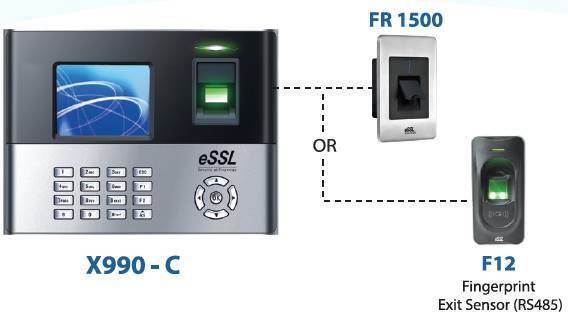 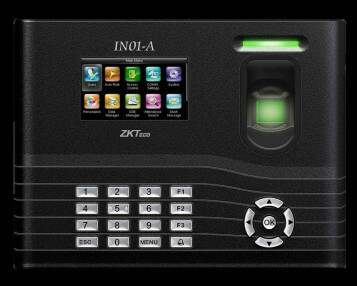 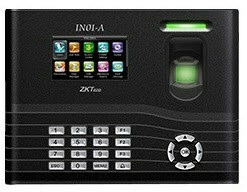 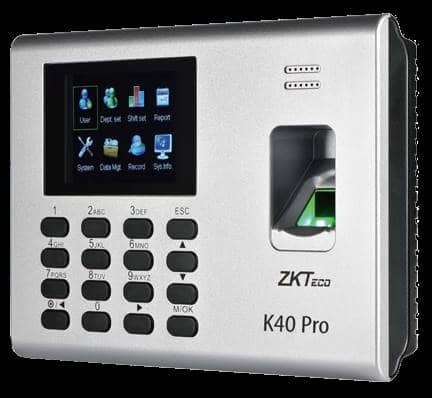 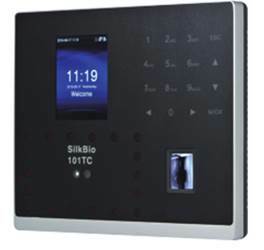 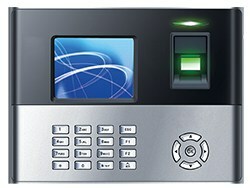 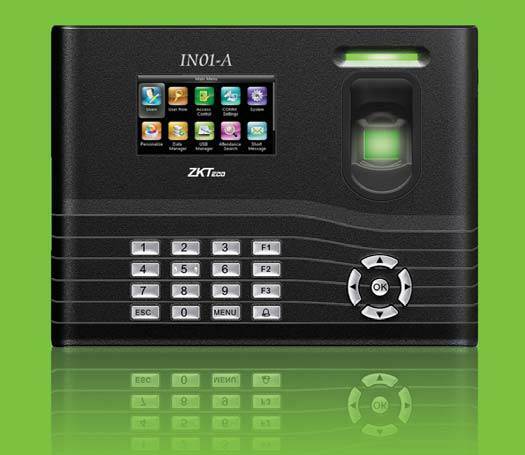 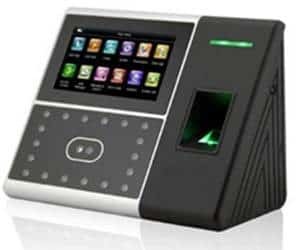 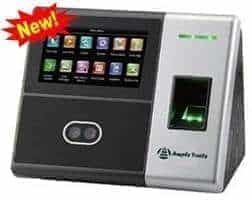 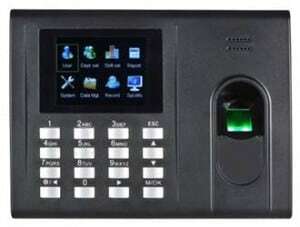 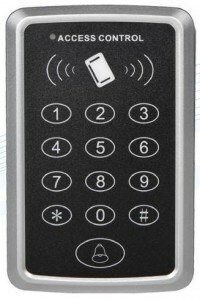 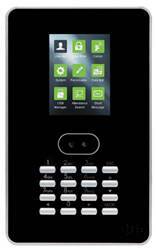 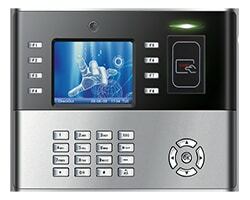 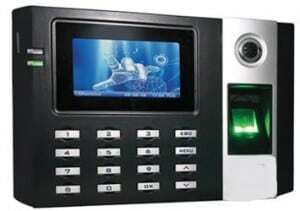 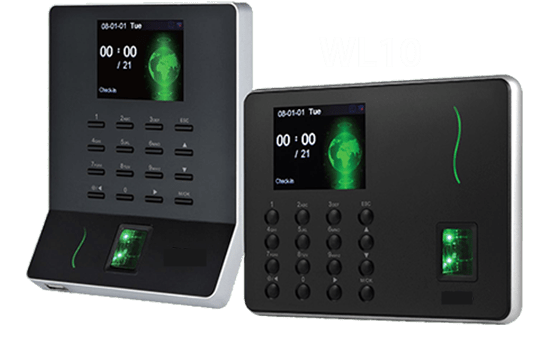 F 18 eSSL ZK Biometric Fingerprint Attendance System is a biometric fingerprint reader. 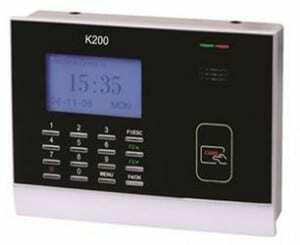 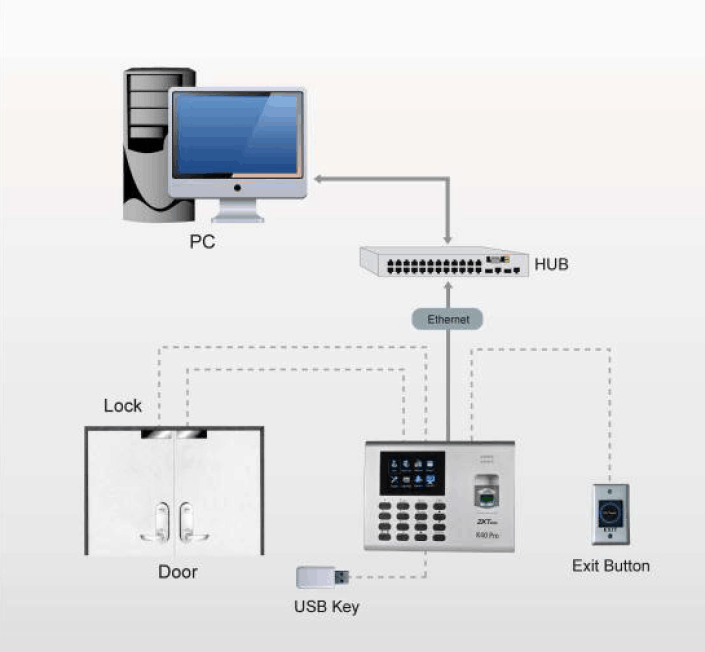 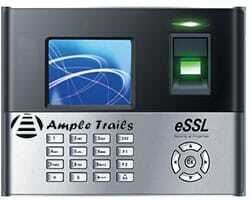 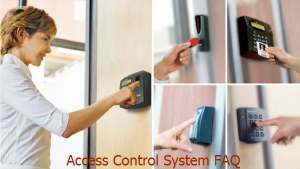 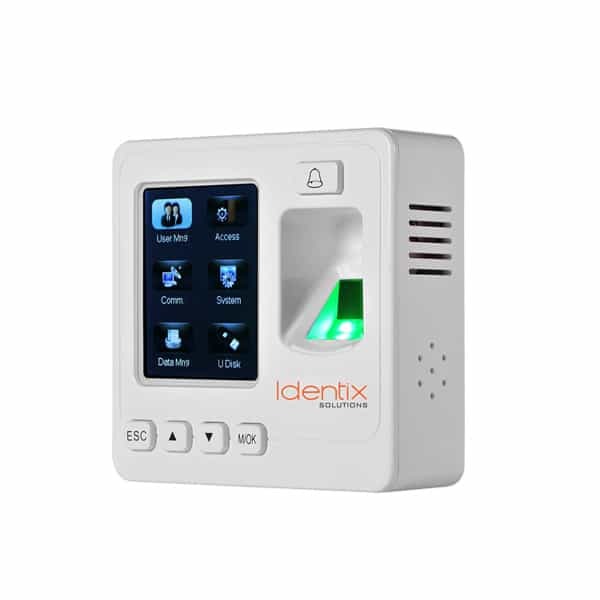 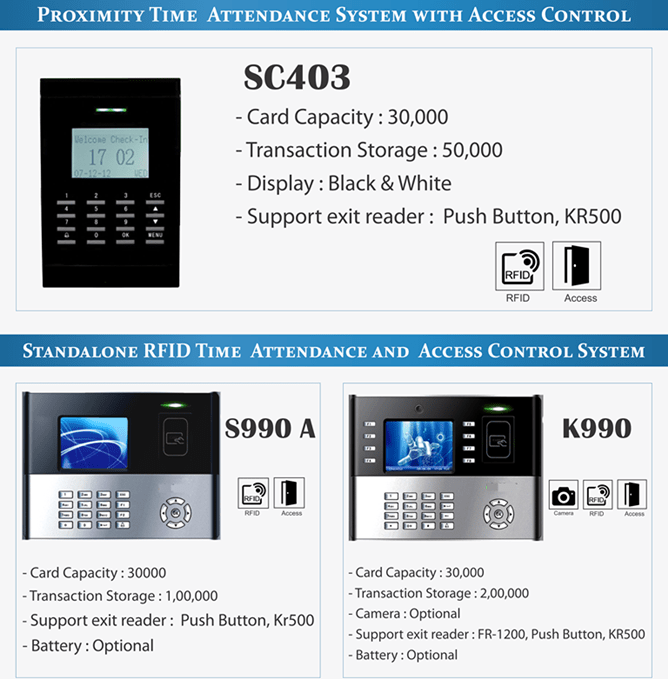 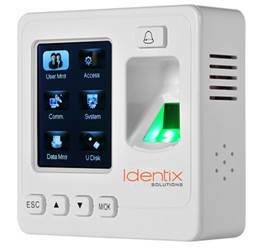 It is one of the most innovative for access control applications. 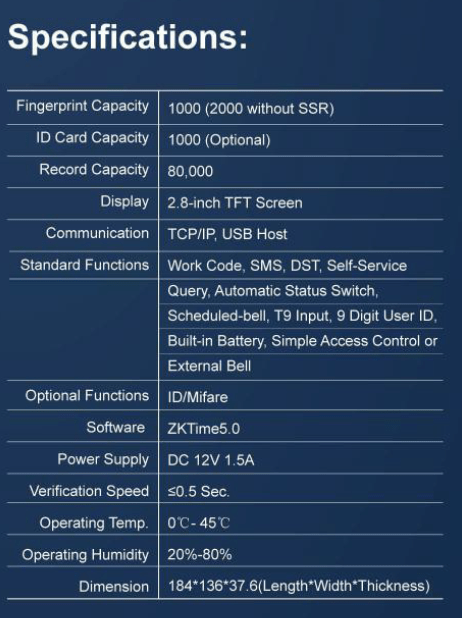 It offers unparalleled performance using an advanced algorithm for reliability, precision, and excellent speed. 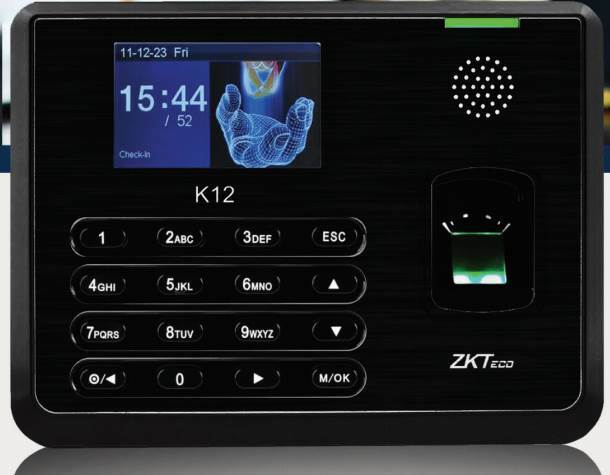 It features the fastest commercial algorithm based on a high-performance fingerprint ZK and high image quality of the fingerprint sensor infrared detection. 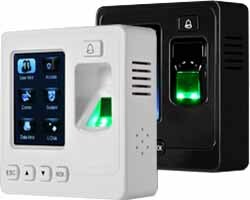 The device offers the flexibility to install the standard Wiegand signal. 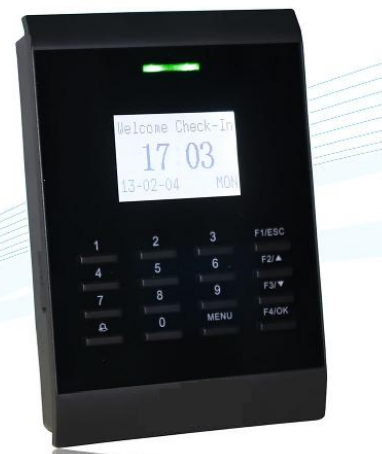 The entire operation can be performed on the color display TFT-LCD and the fingerprint image is displayed on it. 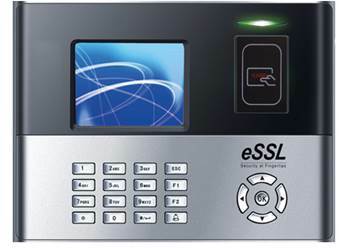 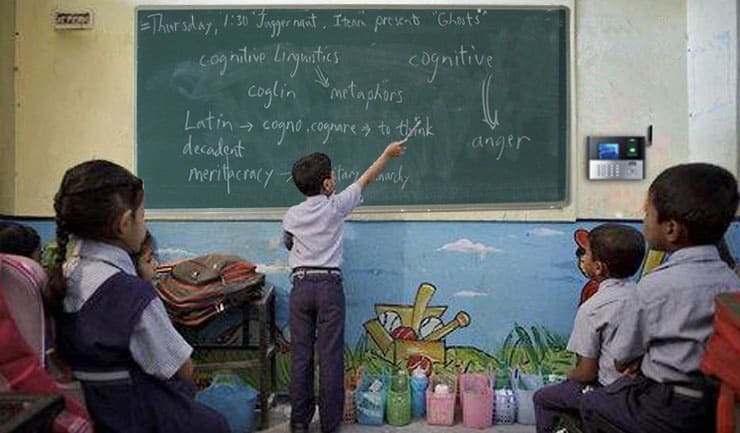 It will guide the user to put the finger in the correct position and increase the recognition rate. 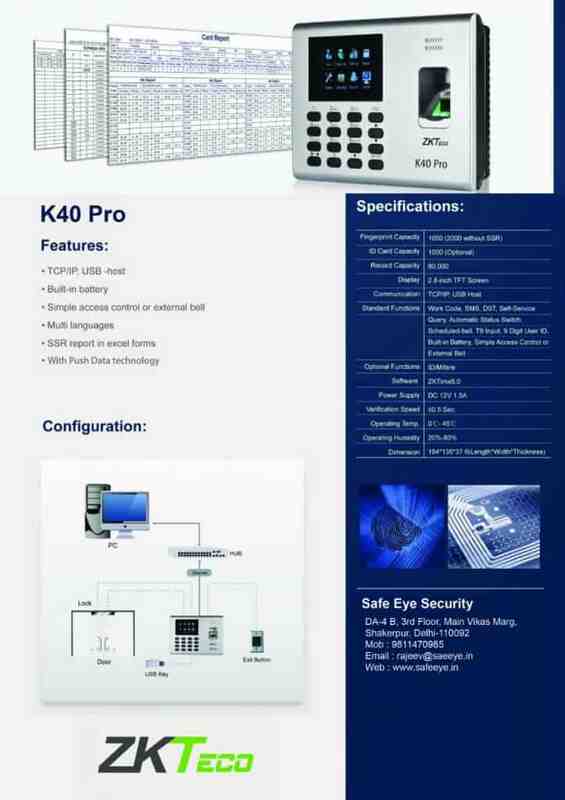 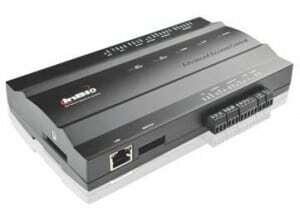 Their communication is via TCP / IP and RS485. 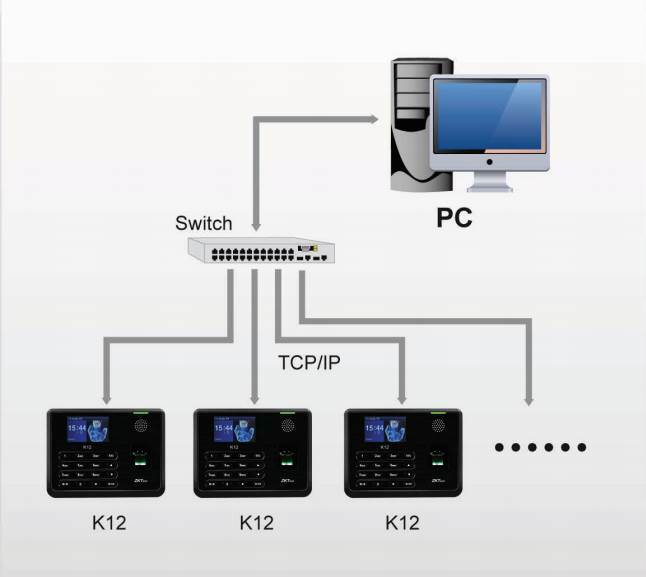 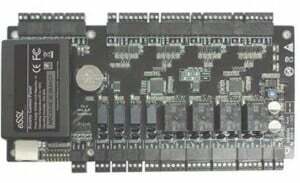 The device can be used in different networks. 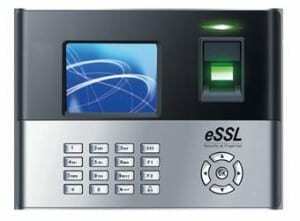 Contact us for essl F18 price and get quotation on your email. 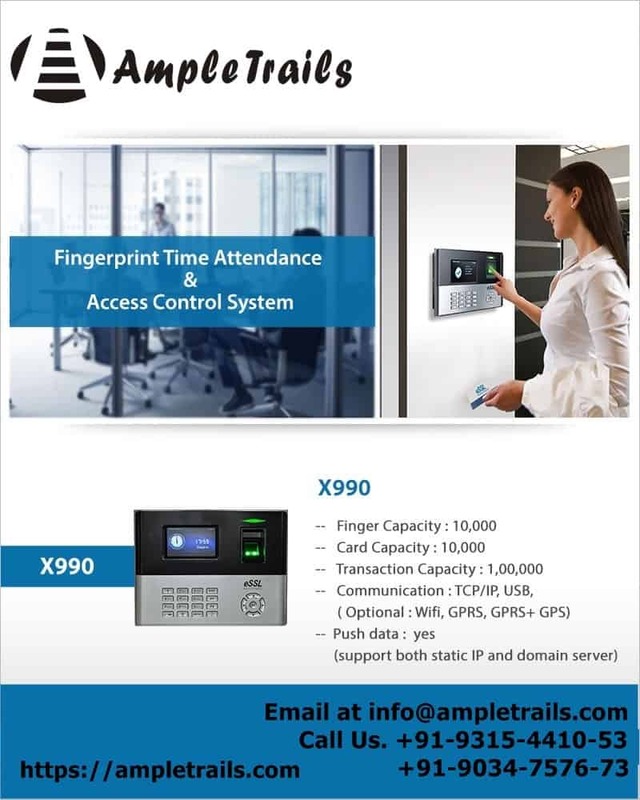 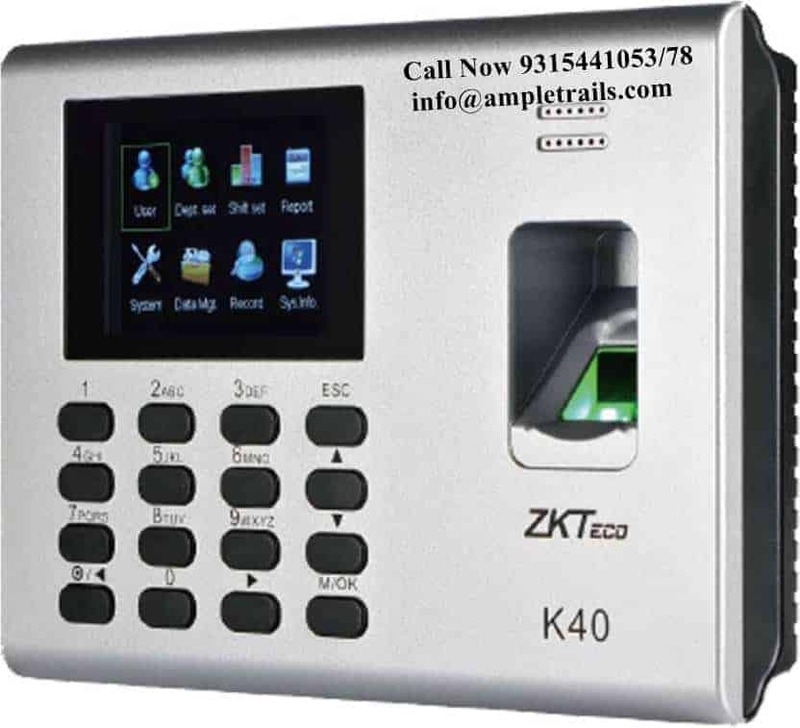 Email us at info@ampletrails.com or call us now at 9818390836, 09818390836, 09315441078 WhatsApp 9315441053 for pricing and installation of this machine. 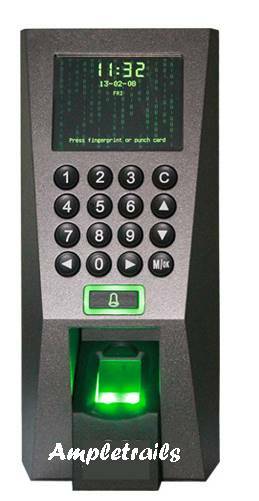 We also have AADHAR ENABLED FINGERPRINT TERMINAL.